Please note this is not a complete how-to and if your not sure how to do something please ask or hire a professinal to polish your car. I take not responsibility for what you do to your own paint. I'm a certified detailer and have been doing it for years. Some things have been left out, such as high speed buffers. Without proper instruction you can damage your paint. If you decide you can handle doing something like this, do yourself a favor and go to the junk yard and get a piece of junk panel and pratice... practice and time using a high speed buffer is the only way to get good at it. This is not a trade you can pick up over night... however it is something can be learned with practice. Take your time, and practice, practice, practice. Don't try an rush it. If you rush while detailing... you'll get exactly what you put into it... a half *** job. The buffer will refer to in this is a Porter Cable 7424. I recommend picking up this kit here: http://www.1car-detailing-training.c...-kit-p-55.html that kit has a lot of what you need to get started polishing. A complete list of things you should own if you plan on really detailing and keeping your car clean and beautiful is listed at the bottom of this post. 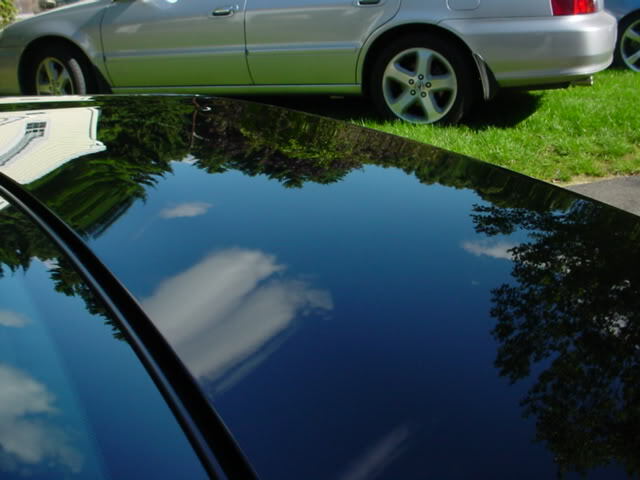 This is what I did to take this car in all its scratchy splendor and make it shine like this. Wash (gold class wash, heavy on the soap, why because the heavy dirt will stick to it and it help lubricate the paint while you wash) try and wash in straight lines, back and forth, I'll explain later. Clay (I use both Optimum and Sonus clay. Both work well. I use med grade which it good for most average cars. The manufactures say to use detail spray to lube the clay, however... I just use clean soapy(the same soap you used for washing... again heavy on the soap) water from clean bucket for the next wash) As with washing, the same goes for claying the car, do your best to go in straight lines. Now dry the car... you can use whatever you want. I use a couple of different things depending on what I’m doing next. The reason I suggested you use straight lines earlier is this; the PC (Porter Cable) polisher spins in a sorta circle... if the wash and clay lines are straight as you compound and polish the paint your removing those lines, thereby removing the swirl marks as well. Those straight lines are in the clearcoat... very small but there, there. You can see this for yourself if you wash and clay the car in straight lines and spray water on the body panel, you'll see the lines. So as you polish the paint its smoothes and flatens them all back out. Once the car has been completely compounded, completely clean the car of compound. After you’ve cleaned the car of compound you can polish the paint. Start with a different green pad and move onto a blue one…. And if you have a dark color car the you should finish with a white pad. Once you have completely polished the paint its time to wax. If you did a good job cleaning the paint and polishing as you apply the wax the paint should not look any different. A good wax can deepen the glow of the paint but it shouldn’t make it look cleaner. If you have a dark color car you can enhance the depth of the paint by adding a high quality carnauba wax on top of the spray wax. (if you decide to do this please wait 24 hrs before you wax onto of the Optimum wax) Not all spray wax can do this… in fact most can’t. I'll add more to this tomorrow... This could be far more detailed... and I should list the equipment I use/used to help lay it all out there. Last edited by darkknight1999; 02-13-2010 at 10:47 AM. Thanks Darkknight for your elaboration. I'm not sure I'm up for the challenge of the power tools. I think I'd be afraid of putting a hole in the side of the car. I'm not experienced enough w/ those kind of tools. darkknight- Thats a great write-up! I love detailing my cars, unfortunately I rarely have time to do as much as I would like. With washing, claying, and waxing I generally spend 5 hours or more. As much as I would like to do more, I just can't spend that much time. In the winter months, when I'm at school, its too hard to keep my car detailed without a garage. It kills me to see it dirty though. I'm a Meguires guy. I've tried a lot of the other brands, but the Meguires just worked the best with my Camaro (sunset orange metallic). I still have to experiment to see what I like best for the Volvo (titanium gray). I use armor all tire dressing and turtle wax chrome polish, but everything else is Meguires Gold Class or NXT. You can hardly go wrong with swix.They have been doing it longer than anyone and have it dialed. If you are getting nitty gritty temperature specific,Swix is the way to go.I've been using Bluebird cold weather wax this year and last.Fairly impressed with it.I forget if I have any Bluebird warm weather wax.I am thinking not.I know I've got some one Ball Jay warm weather stuff sitting around.Thing is, in my experience, warm weather waxes are generally about the same.It's the colder stuff where the manufacturer really shines through on who performs in those temps.I could be wrong though,as I spend more time in cold temps than I do in warms ones each season. I've recently learned I am not to wax in hot weather. I live in Central FL and 90s is par for the course. I am thinking I'll have to do all this early morning or early evenings if this is so. Thanks to the gentleman who shared details here. You're a godsend. I use Zaino Bros wax on my stuff. Kinda pricy, but well worth it, at least to me. Meguiars nxt wax is great because it has very nice features. It is 6-piece wash & wax kit has the next generation in car care products to keep your car looking clean and shiny. The top brands of wax is used by the Professional Cosmetologists and Aestheticians including Cirepil, Berins, Epil lyss, and many wax products.The family or Cirpil waxes is the represents in professional waxing. Just plan on rewaxing the car a lot... Unfortunately the NXT series products do not last very long. The look ok when your done but the product fads fast. If your a Meguiars guy, get the professional products they offer at an autobody supply store in your area. The only useful Meguiars products on the shelf of your local store are the Gold Series products as they are closest to the professional line. I went over my car this past weekend with Mequires clay bar kit, and then sealed it with Mothers California Gold Carnuba Clearner Wax (paste style). the clay bar is a clay bar... nothing special. they are all pretty much the same. Wax refers to a class of chemical compounds that are plastic near ambient temperatures. Waxes are organic compounds that characteristically consist of a long alkyl chains. Waxes are mainly consumed industrially as components of complex formulations, often for coatings. Car wax Brand popularity intend to come and go with the season and with the advertising agency and you can never go wrong with old standards such as Simonize or any of the Turtle Wax products. One of the top brands used is made by Maguires, which also makes a range of car-cleaning, polishing and restoring products. Just polished and then waxed my c70 convertible with turtle. Takes some elbow grease, but it looks so deep that you could dive into it. My color is "moondust". Tried McGuire but couldn't understand whether you wipe it off while it's wet or when it dries to a white surface. Anybody have experience with McGuire? I found that your really have to know what you are doing with rubbing compounds. Screwed up a door on my c70 with it and had to pay $250 for a door paint job. That hurt! I am looking to remove scratches on my newly bought used 2003 S60 (black). I have been reading and doing a lot of research and it seems that for shallow to deeper (but still clear coat) scratches, Quixx works best. So my question is what are your opinions and experiences with scratch removers? 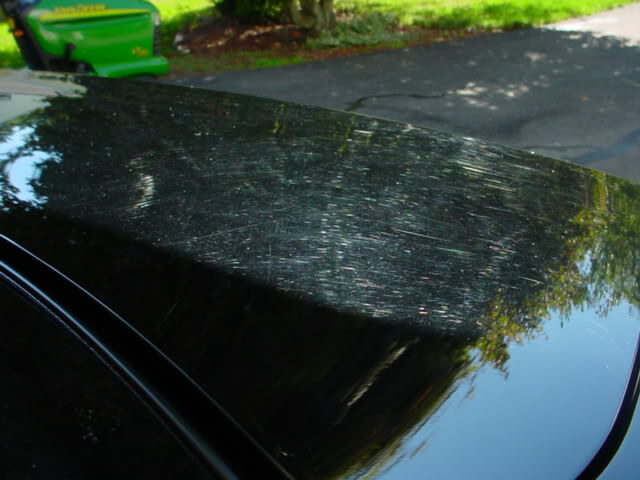 Are there any scratch removers that don't wear down the clear coat but instead fill the scratch and do a good job and don't wash out in the rain? What is the best wax to use, after I do remove the scratches, which will protect from future scratching, will last a while and is durable, and also helps reduce the appearance of the scratches that aren't completely removed? I hate to be a commoner, but I've found that Turtle Polish and Turtle wax work best on my 2002 C70 convertible. I have friends who use more esoteric products, but the results seem the same, and the chance of errors seems more. When I first got my 2002 C70, I gave it a complete detailing and found Turtle products worked easily and well.